The National Alliance of Victims' Rights Attorneys & Advocates (NAVRA) — a project of the National Crime Victim Law Institute — is a membership alliance committed to the protection, enforcement, and advancement of crime victims' rights nationwide. 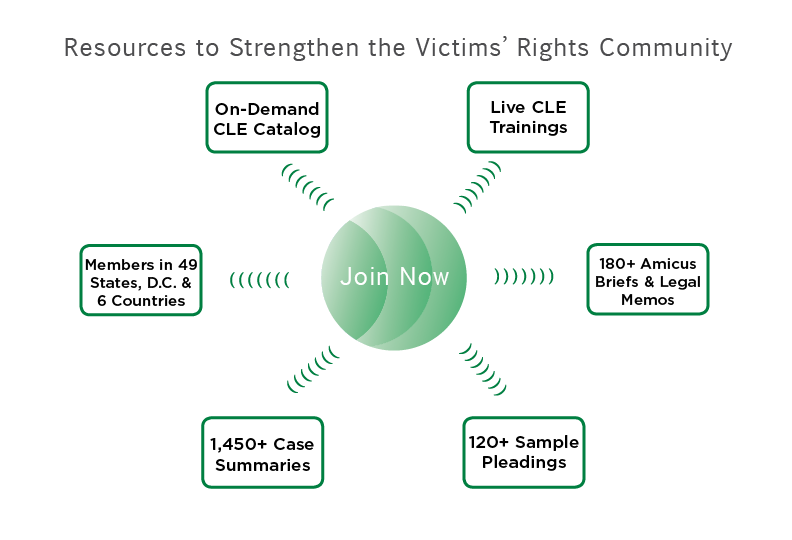 NAVRA strives to increase the availability of expert services for crime victims by providing members with a range of professional development resources. To learn more about membership levels and the associated benefits, please visit the Join page.